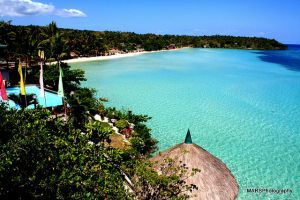 Boracay Island, PHILIPPINES – Finalizing vacation plans in Boracay for the Lenten season can be done as early as now because of Fairways & Bluewater Newcoast Boracay’s Holy Week Promo. 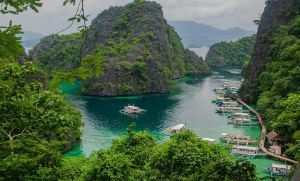 By booking in advance, travelers visiting the Philippines’ top beach destination during this time need not worry about unavailability of accommodations. This enticing deal is exclusively available at the resort’s website athttp://www.fairwaysandbluewater.com.ph/hotel/index.php. Valid for stays from March 22 to 30, 2013, the promo grants guests big discounts on all accommodation types. Besides the marked-down rates, guests get to enjoy free breakfast. Already available for booking today until March 30, 2013, the details of the promo may change without prior notice. In the event of such change, successful reservations made via the Boracay Island hotel’s website before promo modification will still be accepted. Other terms and conditions apply. To take advantage of this special offer, visitors need only to click the “Check availability and prices” button on the website of this resort in Boracay to start the booking process. A calendar will appear on the page where they can select their travel dates. They will then be taken to a page where all available rooms are displayed. Guests will be asked to choose their desired accommodation by indicating how many rooms of such kind they would reserve. To help them with the selection, the booking engine — powered by DirectWithHotels — is equipped with features like a currency converter, bookmarking tool, and print button. Travelers must remember to choose a room under the Holy Week Promo for the special deal to take effect. Once done, guests need to settle the full amount of the booking via credit card. They also need to provide some personal information before clicking on “Confirm Reservation”. When the payment has been received, the system will instantly send a confirmation email, which contains the booking details and record of payment. All online transactions in this system are secured by Trustwave and VeriSign. Fairways & Bluewater Newcoast Boracay prides itself on being a luxury and eco-friendly vacation destination in the country. Over 250 well-appointed guestrooms, each with an amazing view of the golf course, await guests. And just recently, the resort has introduced 2 new additions to its indulgent accommodations: the Executive Suite and Chairman’s Suite. With these features, travelers will surely be enticed to relax in one of the resort’s private white-sand beaches, at the same time play a round of golf in the lone championship course on the island. For more information about the newest luxurious accommodations of this Boracay Island hotel and its latest promos, visit the website of Fairways & Bluewater Newcoast Boracay at http://www.fairwaysandbluewater.com.ph.